This month’s edition of Iconic Rigs takes on a seasonal flair, as we examine the gear of one of rock guitar’s pioneers: Chuck Berry. Albeit simple, Chuck Berry’s bipartisan combination of Gibson Memphis guitars and Fender combo amps laid the foundation for generations of rock ‘n’ roll guitarists. 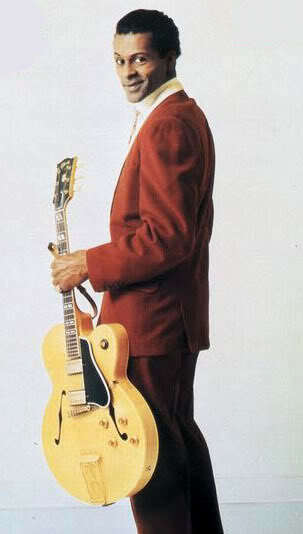 Berry’s catalog is so influential that his hit “Johnny B. Goode” was the only rock ‘n’ roll song to be included on the Voyager Golden Record, sent into space in 1977. Those big, barking tones on “Maybelline” and “Johnny B. Goode” were the product of Berry’s gorgeous white 1957 ES-350T, loaded with Gibson’s then-new PAF humbuckers. 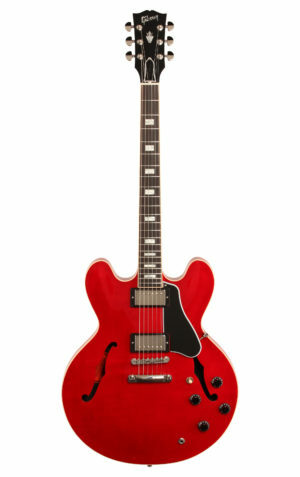 Once the ES-335 was introduced in 1958, Berry was an early adopter and has been seen throughout most of his career rocking a red 335. The marriage of semi-hollowbody Gibsons and high-powered Fender “blackface” amps created one of the most iconic tones of the 20th century. Rumor has it, Chuck Berry requires a pair of Fender Showman Reverb amps and a Lincoln Town Car be provided at every gig, or else he’s not playing. You might not be able to make such demands, so we sifted through our inventory and tracked down some suitable replacements. If you really want to do Berry justice, you’ll want the Gibson 2016 ES-335. Available in Chuck’s trademark cherry finish, this is definitely the guitar to get you playing “that rock and roll music,” however, the price tag might be too rockin’ for the average gigging musician. Plugging that lovely axe into a nice Fender Princeton Reverb like we did in our video would definitely get you the sound you’re looking for, but again, might be a little more than you want to spend on some Chuck tone of your own. If you’re looking to dial in a solid Berry-esque rock ‘n’ roll tone for under $1k, you might want to pair up the Epiphone Limited Edition ES-335 PRO and the Catalinbread Formula 5F6 Tweed Bassman Pedal. The Epiphone ES-335 PRO is a rock-solid take on the classic model with a killer set of coil-tappable Alnico Classic PRO humbuckers. 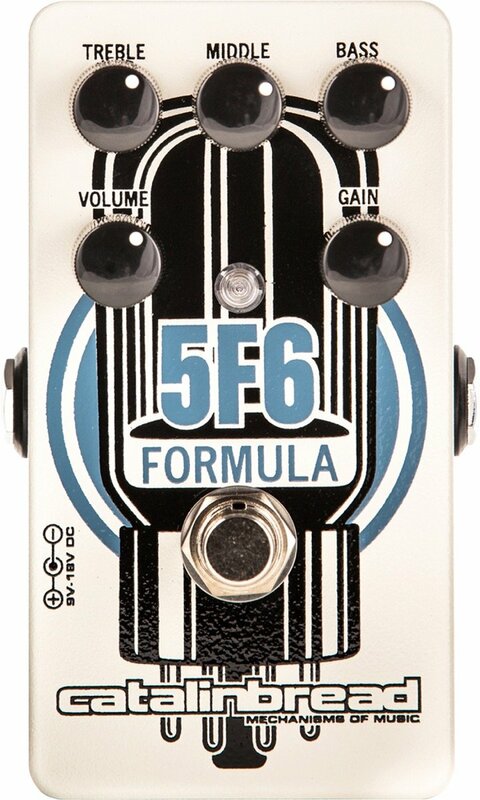 Throwing a Catalinbread 5F6 in front of your favorite clean amp transforms your tone by harnessing the raw sound of a 6L6-powered vintage tweed combo pushing into its sweet spot, a sound that’s been the bedrock of Chuck Berry recordings since the 1950s. Get all the touch-sensitivity heard in Berry’s solos by pushing the front end of your amp with the Formula 5F6, giving the slight breakup and sagged compression of a warmed-up Tweed Bassman. I have an epiphone 335 pro I got at Time Warp instruments in Venice California and she is fantastic. The push pull coil splitters let me get a multitude of tones and the playability is great. 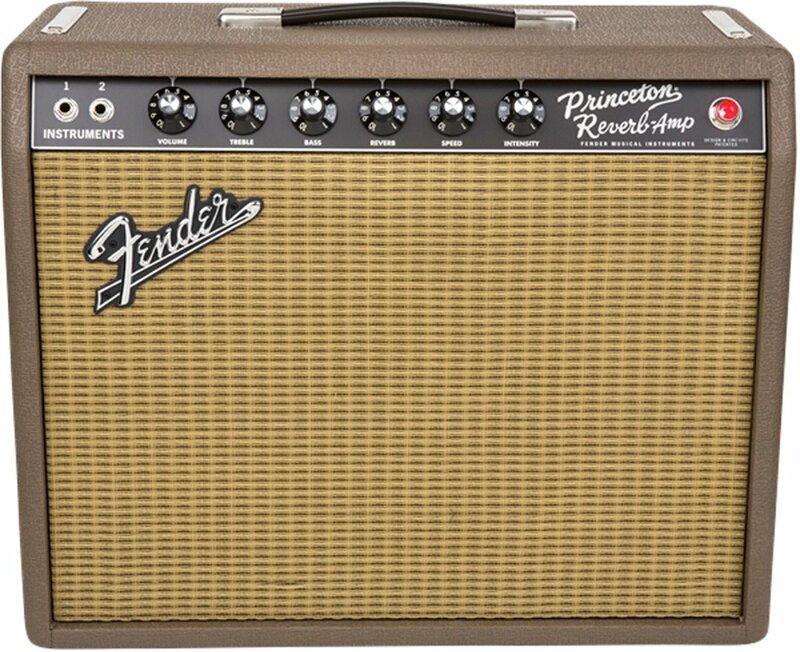 Too bad you can’t get new Dual Showmans I lugged around a pair used by Chuck for almost two decades (all knobs set to 8) but there are easier ways to get 200 watts of Fender tone. After the Showman brains, I rocked a 70s Twin Reverb (recently blackfaced) but now, in my advanced age have found a Mustang III to be plenty for smaller stages. 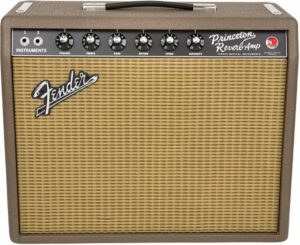 It’s basically a computer cleverly disguised as a Fender amp. But it’s 100 watts at 30# loaded with an arsenal of iconic Fenders (except the Showmans ?) and adequately provides the tone I need for my classic blues review, the Lucky Stiffs. I like it. Used to have a TV like that watching Slam Bang Theater starring Icky Twerp on KTVT Channel 11 out of Dallas, TX. Early morning kid comedy show before I went to school every morning.